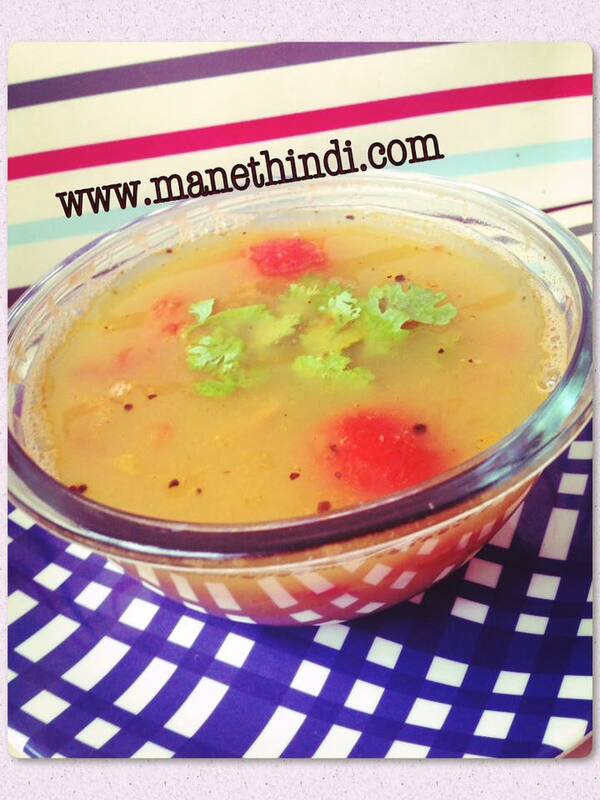 Pepper n' Jeera Rasam- Is a very good as a digestive n light on the tummy along with hot rice and a dash of ghee. 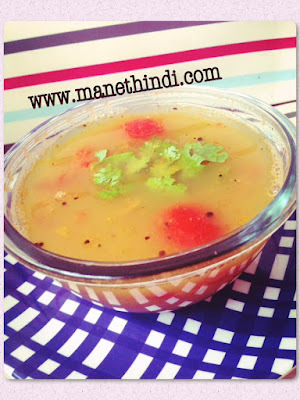 This is non spicy but flavorful rasam. Can be had like soup as well. Rich source of protein as well as its made of toor dal. Pressure cook toor dal till it is completely mushy. Mash it well till smooth. Add adequate water and turmeric to the mashed dal. Let it boil. Add chopped tomatoes, tamarind pulp and hing water. Simmer it. Simultaneously, take a skillet and prepare the tempering which is vital for this dish. Using a mortar and pestle hand crush the jeera and pepper. It should be very coarse. In a hot skillet add ghee. Add mustard and let it crackle. To this add the jeera n pepper mix. Fry for a minute. Add salt to the boiling dal. Finish the dish by adding the tempering and giving it one last boil.